In almost any field involving new trends and developments, anything attracting rapidly increasing media attention is often referred to in terms of “generating a lot of buzz”. Well, here’s a quite different sort of story that adds a whole new meaning to this notion. A truly fascinating post appeared on TechRepublic.com this week on January 22, 2016 entitled How ‘Artificial Swarm Intelligence’ Uses People to Make Smarter Predictions Than Experts by Hope Reese. It is about a development where technology and humanity intersect in a highly specialized manner to produce a new means to improve predictions by groups of people. I highly recommend reading it in its entirety. I will summarize and annotate it, and then pose a few of my own bug-free questions. In a recent switching of roles, while artificial intelligence (AI) concerns itself with machines executing human tasks¹, a newly developed and highly accurate algorithm “harnesses the power” of crowds to generate predictions of “real world events”. This approach is called “artificial swarm intelligence“. A new software platform called UNU has being developed by a startup called Unanimous AI. The firm’s CEO is Dr. Louis Rosenberg. UNU facilitates the gathering of people online in order to “make collective decisions”. This is being done, according to Dr. Rosenberg “to amplify human intelligence”. Thus far, the platform has been “remarkably accurate” in its predictions of the Academy Awards, the Super Bowl² and elections. Swarm intelligence learns from events and systems occurring in nature such as the formation of swarms by bees and flocks by birds. These groups collectively make better choices than their single members. Dr. Rosenberg believes that, in his view there is “a vast amount of intelligence in groups” that, in turn generates “intelligence that amplifies their natural abilities”. He has transposed the rules of these natural systems onto the predictive abilities of humans in groups. He cites honeybees as being “remarkable” decision-makers in their environment. On a yearly basis, the divide their colonies and “send out scout bees” by the hundreds for many miles around to check out locations for a new home. When these scouts return to the main hive they perform a “waggle dance” to “convey information to the group” and next decide about the intended location. For the entire colony, this is a “complex decision” composed of “conflicting variables”. On average, bee colonies choose the optimal location by more than 80%. However, humans display a much lesser accuracy rate when making their own predictions. Most commonly, polling and voting is used. Dr. Rosenberg finds such methods “primitive” and often incorrect as they tend to be “polarizing”. In effect, they make it difficult to assess the “best answer for the group”. UNU is his firm’s attempt to facilitate humans with making the best decisions for an entire group. Users log onto it and respond to questions with a series of possible choices displayed. It was modeled upon such behavior occurring in nature among “bees, fish and birds”. This is distinguished from individuals just casting a single vote. Here are two videos of the system in action involving choosing the most competitive Republican presidential candidate and selecting the most beloved sidekick from Star Wars4. As groups of users make their selections on UNU and are influenced by the visible onscreen behavior of others, this movement is the online manifestation of the group’s swarming activity. Another instance of UNU’s effectiveness and accuracy involved 50 users trying to predict the winners of the Academy Awards. 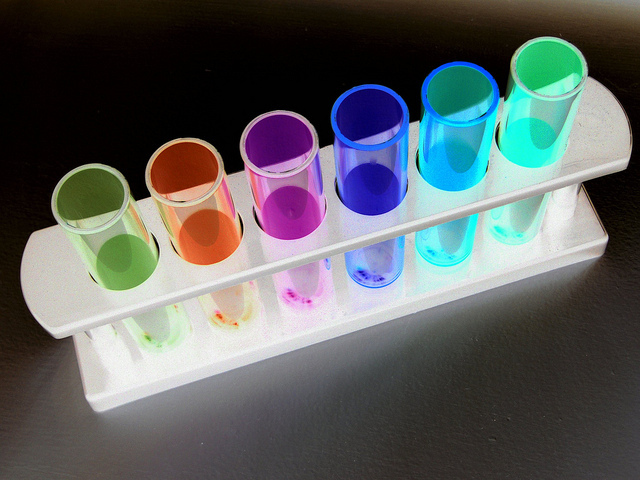 On an individual basis, they each averaged six out of 15 correct. This test swarm was able to get a significantly better nine out of the 15. Beyond movies, the implications may be further significant if applied in areas such as strategic business decision-making. Does UNU lend itself to being turned into a scalable mobile app for much larger groups of users on a multitude of predictions? If so, should users be able to develop their own questions and choices for the swarm to decide? Should all predictions posed be open to all users? Might UNU find some sort of application in guiding the decision process of juries while they are resolving a series of factual issues? Could UNU be used to supplement reviews for books, movies, music and other forms of entertainment? Perhaps some form of “UNU Score” or “UNU Rating”? 1. One of the leading proponents and developers of AI for many decades was MIT Professor Marvin Minsky who passed away on Sunday, January 24, 2016. Here is his obituary from the January 25, 2015 edition of The New York Times entitled Marvin Minsky, Pioneer in Artificial Intelligence, Dies at 88, by Glenn Rifkin. 2. For an alternative report on whether the wisdom of the crowds appears to have little or no effect on the Super Bowl, one not involving UNU in any way, see an article in the January 28, 2016 edition of The New York Times entitled Super Bowl Challenges Wisdom of Crowds and Oddsmakers, by Victor Mather. 3. An outstanding and comprehensive treatment of this phenomenon I highly recommend reading The Wisdom of the Crowds, by James Surowiecki (Doubleday, 2004). 4. I would really enjoy seeing a mash-up of these two demos to see how the group would swarm among the Star Wars sidekicks to select which one of these science fiction characters might have the best chance to win the 2016 election. Alfred, Lord Tennyson wrote his immortal classic poem, The Charge of the Light Brigade, in 1854. It was to honor the dead heroes of a doomed infantry charge at the Battle of Balaclava during the Crimean War. Moreover, it strikingly portrayed the horrors of war. In just six short verses, he created a monumental work that has endured ever since for 162 years. The poem came to mind last week after reading two recent articles on seemingly disparate topics. The first was posted on The New Yorker’s website on December 30, 2015 entitled In Silicon Valley Now, It’s Almost Always Winner Takes All by Om Malik. This is highly insightful analysis of how and why tech giants such as Google in search, Facebook in social networking, and Uber in transportation, have come to dominate their markets. In essence, competition is a fierce and relentless battle in the global digital economy. The second was an article on CNET.com posted on December 23, 2015 entitled Chip Promises Faster Computing with Light, Not Electrical Wires by Stephan Shankland. I highly recommend reading both of them in their entirety. Taken together, the homonym of “light” both in historical poetry and in tech, seems to tie these two posted pieces together insofar as contemporary competition in tech markets is often described in military terms and metaphors. Focusing on that second story here for purposes of this blog post, about a tantalizing advance in chip design and fabrication, will this survive as it moves forward into the brutal and relentlessly “winner takes all” marketplace? I will summarize and annotate this story, and pose some of my own, hopefully en-light-ening questions. A team of researchers, all of whom are university professors, including Vladimir Stojanovic from the University of California at Berkeley who led the development, Krste Asanovic also from Berkeley, Rajeev Ram from MIT, and Milos Popovic from the University of Colorado at Boulder, have created a new type of processing chip “that transmits data with light”. As well, its architecture significantly increases processing speed while reducing power consumption. A report on the team’s work was published in an article in the December 24, 2015 issue of Nature (subscription required) entitled Single-chip Microprocessor That Communicates Directly Using Light by Chen Sun, Mark T. Wade, Yunsup Lee, et al. This approach, according to Wikipedia, of “using silicon as an optical medium”, is called silicon photonics. IBM (see this link) and Intel (see this link) have likewise been involved in R&D in this field, but have yet to introduce anything ready for the market. However, this team of university researchers believes their new approach might be introduced commercially within a year. While their efforts do not make chips run faster per se, the photonic elements “keep chips supplied with data” which avoids them having to lose time by idling. Thus, they can process data faster. Currently (no pun intended), electrical signals traverse metal wiring across the world on computing and communications devices and networks. For data traveling greater national and international distances, the electronic signals are transposed into light and sent along on high-speed fiber-optic cables. Nonetheless, this approach “isn’t cheap”. Professor Stojanovic believes that one of their largest challenges if is to make this technology affordable before it can be later implemented in consumer level computing and communications devices. He is sanguine that such economies of scale can be reached. He anticipates further applications of this technology to enable chips’ onboard processing and memory components to communicate directly with each other. Additional integrations of silicon photonics might be seen in the lidar remote sensing systems for self-driving cars¹, as well as brain imaging² and environmental sensors. It also holds the potential to alter the traditional methods that computers are assembled. For example, the length of cables is limited to the extent that data can pass through them quickly and efficiently before needed amplification along the way. Optical links may permit data to be transferred significant further along network cabling. The research team’s “prototype used 10-meter optical links”, but Professor Stojanovic believes this could eventually be lengthened to a kilometer. This could potentially result in meaningful savings in energy, hardware and processing efficiency. SiFive developing a RISC-V chip based on silicon photonics. Might another one of silicon photonics’ virtues be that it is partially fabricated from more sustainable materials, primarily silicon derived from sand rather than various metals? What other new markets, technologies and opportunities for entrepreneurs and researchers might emerge if the university research team’s chips achieve their intended goals and succeed in making it to market? May 17, 2017 Update: For an update on one of the latest developments in photonics with potential applications in advanced computing and materials science, see Photonic Hypercrystals Are Now a Reality and Light Will Never Be the Same, by Dexter Johnson, posted on May 10, 2017, on IEEESpectrum.com. 1. See these six Subway Fold posts for references to autonomous cars. 2. 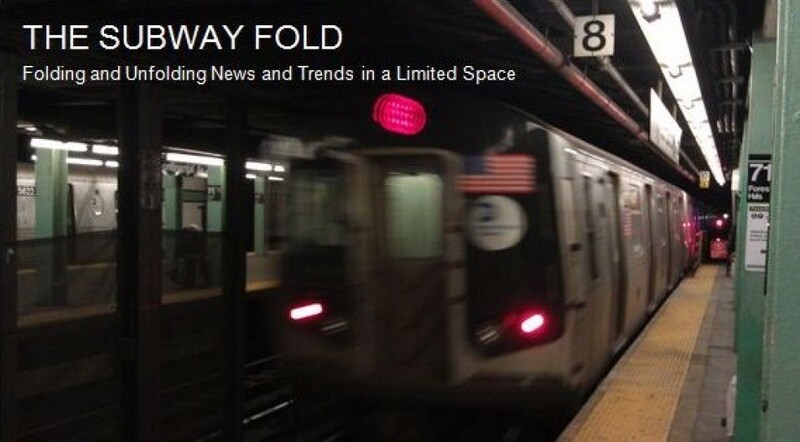 See these four Subway Fold posts concerning certain developments in brain imaging technology.